BOISE, ID – The Idaho Regional Optical Network, Inc. (IRON) announced today the appointment of Michael Guryan as General Manager for the organization. Previously IRON’s Distance Education Coordinator, Mr. Guryan will take over for IRON’s previous General Manager, Victor Braud. Mr. Guryan has decades of experience managing information technology networks as the former owner of Sun Valley Systems and Director of IT for the State of Idaho, SCP Global Technologies, Renaissance Mark, Akrion Inc and others. President and CEO Howard Grimes expressed his appreciation for Mr. Braud’s contributions to IRON. “On behalf of IRON’s Officers and Board of Directors, I would like to thank Victor for his years of service to IRON.” Mr. Braud was instrumental in IRON’s creation and development and served as General Manager from 2009 through 2015. IRON is a regional research and education (R&E) network, chartered in 2007 as a 501(c)(3) not-for-profit Idaho corporation. IRON provides Idaho’s higher education, research, and healthcare institutions with high speed, low cost connectivity throughout Idaho, and to the national R&E network (Internet2), the public internet and surrounding regional networks. IRON provides inter-campus connectivity among its Charter and General Associates to facilitate research and data exchange. IRON also provides connectivity between all its Associates and Idaho’s high schools for distance learning and college-level advanced placement courses. IRON is the designated Internet2 UCAN/SEGP entity for Idaho. As such it is responsible for providing Internet2 connectivity to its Charter Associates, General Associates and K-12 institutions. His 12-year-old daughter has told him the Grid Game is probably not going to be the next Candy Crush Saga, but Idaho National Laboratory research engineer Tim McJunkin still thinks there might be a fair number of people who would like to play at managing the electrical power grid. McJunkin and a group of fellow engineers and teachers have developed a desktop simulation that allows players to keep load and generation in balance. “Red Team” participants can even mount financial and cyberattacks in real time, making the game even more interesting. “Your average citizen could gain something by learning what has to happen when they turn their lights on,” he said. While there are far more sophisticated simulations available in the industrial sector, McJunkin is hopeful that high schools will pick up on it. He spoke in July at the Idaho Professional Technical Educators Conference, and a pilot rollout will come this fall at Meridian Technical Charter High School. The objective is simple, he said, “Keep the grid up and keep the customers happy.” Every player has a client and a virtual grid. Game points are earned by providing power and then used to buy more grid assets and grow the grid. It’s a big balancing act. When a utility generates more power than is in demand, machines speed up until their circuit breakers shut them down. When there is more demand than generation, machines slow down, leading to brownouts and blackouts. In real life, there’s a lot on the line when it comes to managing electrical power. A White House report released in 2013 said outages caused by severe weather cost the U.S. economy an average of $18 billion to $33 billion a year. The hits come from lost output and wages, spoiled inventory, delayed production and damage to the electric grid. Think of the outage in eastern Idaho on Dec. 4, 2014, which left 70,000 people without electricity for up to 10 hours in subzero cold. It started at 5:11 a.m. when roughly 49,000 customers lost power because a circuit breaker was out of service for critical maintenance. When a cold front rolled in from the North Pole, the Balancing Authority – a governmental entity that manages the transmission grid’s stability – ordered utilities in the region to shed load, forcing additional power cuts. McJunkin seeks to replicate scenarios such as this in the Grid Game, which he admits is a work in progress. To push it to the next level, he is applying for grant money from the National Science Foundation and other organizations. 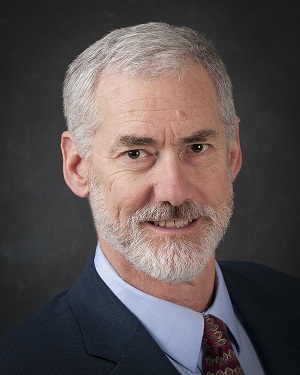 As an adjunct professor at Idaho State University, McJunkin first developed the Grid Game to give students in a Resilient Control Systems class an idea of how the grid operates. Two colleagues in particular – Craig Rieger, INL’s initiative lead for Instrumentation, Control and Intelligent Systems, and Mike Guryan, distance education coordinator at Idaho Regional Optical Network – encouraged him to expand it to a multiplayer format, allowing participants to buy and sell power, add new generation sources, find new customers and defend themselves from computer-based attacks. For the last part, McJunkin teamed with Indrajit Ray, a professor of computer science at Colorado State University, for help. Ray and the university’s Hashdump security club developed software that allows hackers to implant denial of service viruses or to siphon off a utility’s money to virtual Swiss bank accounts. So far, the biggest day out for the Grid Game was in August 2014, when it was featured at the Resilience Week 2014 Conference in Denver. For the first 15 minutes, players focused on managing their utility. In the second 15 minutes, the hackers from CSU struck, preying on anyone who didn’t think anti-virus software was worth the expense, and taunting mercilessly. By the end, few players had much, if any, money in the bank. McJunkin said he feels like there is a lot of room for the game to grow. Adding sources of baseload power like coal, natural gas and nuclear is one possibility. Then the game could reflect rules and regulations, which vary from state to state but can have a profound effect on grid operations. As I assume the responsibility of President and CEO of IRON, I am pleased to report that in October 2014, IRON celebrated its sixth year of operation. Coincidentally, we also completed an upgrade to the network backbone which provides for statewide, 10 Gbps connectivity between Coeur d’Alene, Pullman/Moscow, Clarkston/Lewiston, Boise, Pocatello, and Idaho Falls, in addition to interstate links into Salt Lake City and Spokane. This was made possible by a grant from the J.A. and Kathryn Albertson Foundation and those who support IRON. With this substantial increase in bandwidth and connectivity, IRON’s ability to enable collaboration in many new and exciting research projects with our Charter Associates will be materially enhanced, our end-users access to the internet will be accelerated, and IRON’s expansion into distance education services had been made possible, with many new services being provisioned and made available to our Associates and their end-users. IRON is a proven facilitator of advanced network capability and stability in our state and region. I look forward to continuing this tradition while working with the IRON team to bring more bandwidth to more Idaho communities. IRON is pleased to announce the appointment of Joe Taylor as Treasurer of the Idaho Regional Optical Network. Joe is Chief Information Officer for BYU-Idaho where an expanding on-line program is providing opportunities to use technology as a vehicle for education across the world. Joe began his professional career at the Thiokol Corporation, a leading developer of solid rocket propulsion systems including those used by NASA on the Space Shuttle. At Thiokol, he played a key role in the management and development of the Computer Integrated Enterprise Initiative, which required the use of multiple computing and data platforms to integrate the company’s design, manufacturing, safety and quality control functions into a seamless whole. After Thiokol, Joe spent 20 years at the University of Utah as Executive Director of IT University Support Services. He was responsible for all planning, design, development, deployment, and maintenance of administrative information systems for the University. In addition he was responsible for data management, governance, and administration for the University campus, IT project and portfolio management, and vendor and contract management for University IT. 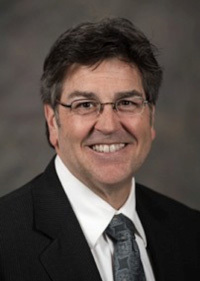 Joe became CIO at BYU-Idaho in January 2014 where he reports to the University President on all IT related issues at Idaho’s largest private university. BYU-Idaho offers 10 online bachelor’s degrees and 4 online associate degrees through a portfolio of over 100 online courses distributed around the world. 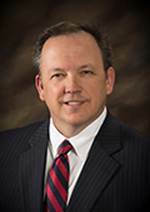 Joe Taylor has a Bachelor of the Arts degree in Economics from the University of Utah and an MBA and Master of Science degree in Management Information Systems from Boston University. Our standard of living is dependent on complex industrial control systems. Idaho National Laboratory (INL) has pioneered the development of “resilient” control systems that are more resistant to interruption from natural or man-made disasters. Complex control systems with enhanced resilience maintain safe levels of operations in response to natural disasters or man-made, malicious threats. The challenge for the next generation of researchers is to address our need for robust and adaptable systems. IRON is partnering with INL, University of Idaho, Boise State University and Idaho State University to produce a distance learning course in resilient control systems. Other contributors and participants from around the region are engaged in this “first of” course held in the United States. Comprehensive perspectives on power system operation and the impacts of their failure from security compromise and human error are presented through a combination of lectures and interactive video sessions that include real world equipment and scenarios. Promising research solutions will preface a mentored project for college students to propose their own unique resilience strategies.